Footswitch pedals are extremely convenient and useful when you are working on a project and your hands are busy doing something else. 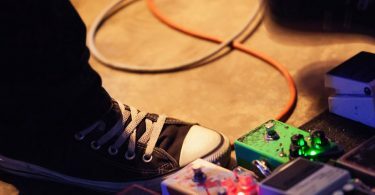 Guitarists are frequent users of footswitches, but any type of musician can use them for lots of reasons including controlling their speakers, amps, or other special effects. There are a lot of footswitches on the market that have lots of different features. Make sure to do you research and find a footswitch that works with your needs. 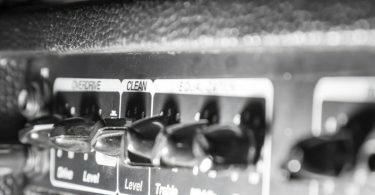 Here are a few tips on what to look for in an amp footswitch, and a few reviews to help you start shopping. There are several different forms of footswitch pedals to choose from, and many come with additional features. It is important to review the product to determine if the extra features are worth the cost. 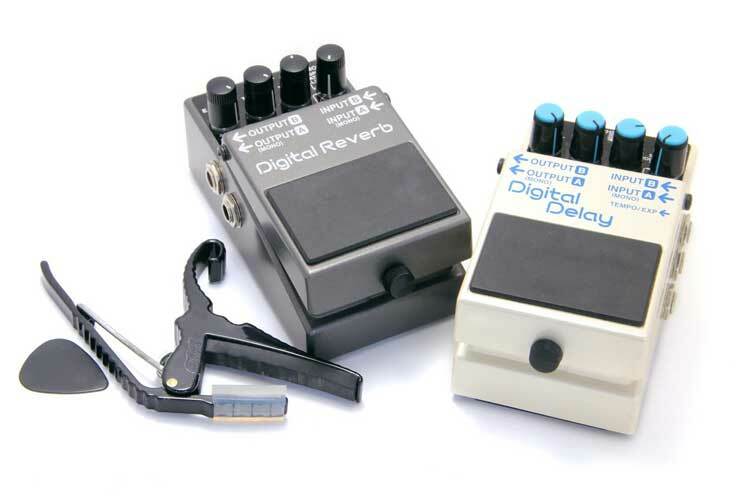 Double Footswitch Pedal – This type of pedal features two pedals that execute two different commands. This type of pedal is perfect for musicians that are using two different musical sound effects. Heavy Duty Footswitch Pedal – This type of pedal is constructed with heavy-duty materials that are impact resistant, and they can also have dirt and water protection. They are usually built out of steel, and they are sometimes used with musical instruments. Footswitch Pedal with Guard – This pedal is constructed similarly to the heavy-duty pedal, but it comes with metal guards instead. The guards help to protect the pedals from being damaged, and they are occasionally used with musical instruments, but not very often. Single Footswitch Pedal – This is a basic footswitch pedal that sends just one command that may turn an amp on and off. This is most commonly used footswitch by musicians. 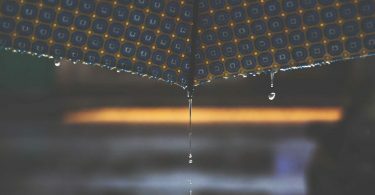 Waterproof Footswitch Pedal – This pedal is completely water resistant, and it is perfect for wet working conditions like an outdoor gig. You will find that even though your average footswitch pedal can do more than one task, most musicians will have more than one pedal. 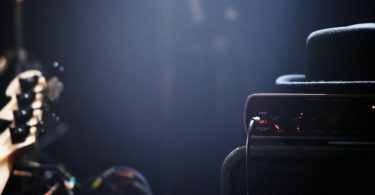 It is common for a musician to have many different special effect pedals that they want to be connected to the same amp. The footswitches allow them to control all the different sounds with their feet. Momentary Footswitch Pedal – This type of pedal is pressed and held when you are turning on an effect or electronic device, and once the pedal is released, the effect or the device will stop. Maintained Footswitch Pedal – This type of pedal turns on a device with one press, and then the second press turns the device off. Some of these pedals include a feature that does not let you turn off the device without pressing down a latch on the inside. Anti-Trip Safety Feature – This pedal needs a safety latch pressed inside the guard before you can press the pedal down and the unit can turn on. These pedals usually are only using a momentary action, so that the pedal has to stay pressed down for the device will remain on. Two Stage – This pedal has two activation points. The first point is when the pedal is pressed halfway in, and the second point is when the pedal is pressed all the way in. One thing you want to make sure to consider is how often you will be using the device and for how long. If you are holding a pedal down all the time, it can be very tedious while you are playing. Amps are how the electrical currents in a unit are measured. It is important to look at the rating to see how many amps the pedal can handle. There are all different amp ratings for footswitches, so make sure you have a pedal that will have the amps that you require. There are several different cables that you may need. Cable with Leads – This is a cable that has open wiring that you can customize. Cable with Series Plug – This is a cable that has a standard US 120V outlet with three prongs. Cable with Terminated Leads – This is a cable that has open wires with terminated ends that can be customized. 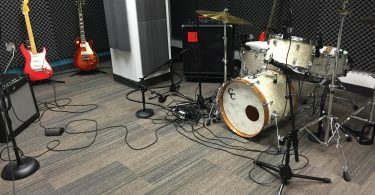 No Connection Cables – In this case, there are no connection cables as the pedal works wirelessly with the instrument, computer, or amp. USB Cable – This cable connects to the computer through a USB port, and it is often used when you are recording music onto a computer. Wireless setups will have a footswitch pedal that has one or two separate jacks, and their function depends on the pedal. The jacks can plug into a guitar or amp. 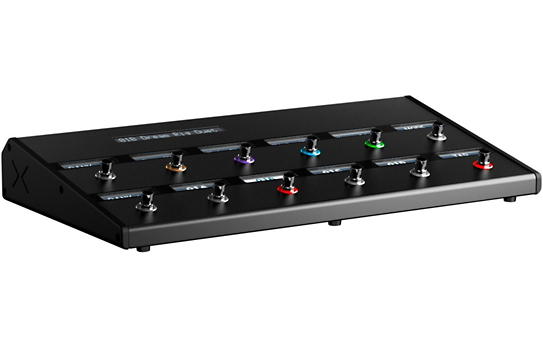 The Line 6 Helix Control Foot Controller can be used with pretty much any MIDI-capable device. When you add the Helix Control Floor Controller for Helix Rack, you have the same performance as the floor-based Helix that gives you a whole new range of creativity. The Helix Control connects with just one cable, so you can create custom labels, select blocks to edit by just touching a footswitch, edit parameters hands-free with Pedal Edit Mode, and connect up to three expression pedals. The dual-DSP engine gives you lots of power to precisely create the awesome feel of tube amplifiers, plus the Helix 2.0 firmware gives you five new amp models that are inspired by the legendary Mesa/Boogie Mk IV and Marshall JCM 800, and delay effects, EQ, modulation, and new distortion. The Helix Control also features new HX Hybrid cabs that show a new approach to speaker cabinets as they give you resolution lower DSP usage with a 2048-point Impulse Response. You also get a more precise low-end response with the microphone accurately captured at 12 different distances. 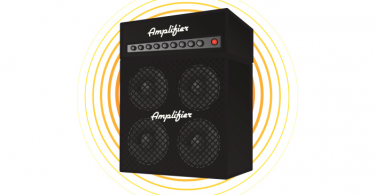 Plus, you get to load your own custom impulse responses that let you customize your rig setup even more. The Helix also gives you footswitches that are touch-sensitive, so you can easily choose to edit something like an effect block with a simple touch. The large LCD display gets rid of the need for menus and gives you the level of control that you would normally see with an external editor. You can easily see which footswitch you are using with just a glance from the easy to understand user interface. There are four stereo signal paths per preset that let you create scenarios that have complex routing with variations and schemes that are easy to select with template presets. Tonal possibilities are big with the four freely-assignable effects loops that are used in conjunction with the onboard effects models. Individual presets are also features in the new Snapshots performance in Helix 2.0 firmware that lets you pull up, change, and control certain elements of your tone instantly. The Helix Control will quickly become the control center of your rig. Not only is the Helix Control a strong real-time MIDI control, it can also send up to six different commands at patch recall that aren’t associated with a footswitch, so that you can start a sequencer, change a patch on a synth, and turn up a fader on an external digital mixer. The Helix 2.0 firmware gives you control enhancements with the new Variax for new performance possibilities. It has the same accessible and intuitive user interface, so you do not have to learn a new workflow, and you can easily rename patches, edit tones, and reorganize your patch list. When you add Helix Control to Helix Rack, you will get the same operation as a floor-based Helix that will give you a whole new world of creativity and function. It has a durable metal chassis that takes up less space on the floor, and it has touch-sensitive footswitches that come with customizable scribble strip displays and LED rings. With the Helix Control, you can easily edit parameters, create custom labels, and edit select block, plus you have a three expression pedal input that lets you have the maximum control over your tone. This awesome footswitch is available on Amazon for Check on Amazon. The Boss ES-5 Effects Switching System Guitar Amplifier Footswitch has a design that is based on the same idea and features as the ES-8, but it is trimmed down to give you more of the necessary use for average guitarists and bassists. It has been slimmed down dramatically so that it can fit typical, ready-made boards, and the innovative and creative pedalboard systems have become more available and affordable. You can increase your board by one size by incorporating the ES-5 to give you an entirely new world of musical phrasing. You will see that it is not just another utility tool, and you will never look at switch boxes the same way. The Boss ES-5 has a five loop programmable switching system, an analog circuit design that ensures a pure tone, plus a unique routing flexibility that lets you alter the order of the routing and lets you create a parallel effect chain. It also allows you to use external control parameters to delay time so that it can be saved for each patch, the ability to turn buffers on and off separately to store the input and output in each patch, and vary the level of the output buffer. The ES-5 also has very reliable footswitches that are cable of switch-noise mute, a backlit LCD display that quickly gives you detailed information, totally customizable assignments for the pedal function, 200 patch memories that give you unparalleled capability if you are a gigging musician, and professional-level creativity and practicality in a compact footprint. The ES-5 has an impressive and versatile effects switching system that let you totally control your pedalboard, so that you can alter sounds instantly without having to press switches on each individual pedal, plus you maintain your guitar tone since it only moves through an effect when you need it for a certain sound. It gives you strong routing flexibility, and MIDI, plus real-time control options, all in a compact and space saving unit. Routing flexibility lets you quickly and simply rearrange your order in the chain of stompbox effects. This is a professional level ability, so you access a wide variety of effect configurations that gives you complete freedom to use unique sounds. Plus, the parallel chain function boosts your effect configuration options more by increasing the final sound variations that it is ultimately capable of creating. The ES-5 not only comes with five effect loops on board, but it has two TRS control output jacks, plus a TRS control/expression input jack. If you want to seamlessly integrate with MIDI-controlled stomp effect, then you will appreciate the MIDI capability of the ES-5. It has centralized controls that make it very powerful and the center of your music creativity since all the control settings are storable. The ES-5 sound quality is designed so that the sound does not deteriorate, and it remains free of noise and pure of tone. The analog circuitry has been carefully designed by the BOSS engineering team, and the ES-5 is outfitted with buffers for the input and output that you can turn on and off separately as you require. 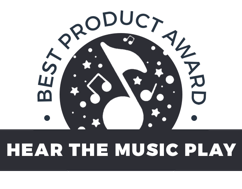 This is also a great looking piece of hardware that will go well with your pedalboard, and it is also durable enough when you are out on the road. This is a convenient and compact footswitch that has many large technical innovations, and a memory proficiency of 200 patches. It comes with an extensive naming capacity on a large display, and a huge responsive footswitch that is completely assignable. This awesome footswitch is available for $399.99 on Amazon. The Line 6 FBV Shortboard MKII acts more like a remote control that you operate with your foot on stage, and it is not tied to your POD processor or to the front of your Line 6 amp. You have all the standard advantages that you would normally get from the Line 6 foot controller that include a durable wah/volume pedal, channel switches that are rock-solid, plus a backlit display that is oversized. You have total control of your tone with the steel footswitches, and you can scroll, change, and select preset with the dedicated footswitches. You can also add or remove effects instantly, and you can coordinate the time-based effects with Tap Tempo. The Line 6 FBV lets you load four banks with up to 64 presets, plus you can add individual or simultaneous effects over each preset so you can add on-the-fly colorization and tone customization. Well-spaced guitar footswitches are laid out so that they are convenient to reach, and that you are not stepping on two at the same time. You can go back and forth between wah-wah control and volume with the toe to volley back and forth. The LCD is backlit and oversized, so that it is large, bright, and easy to read, and includes the preset name chromatic tuner display. The Line 6 FBV Shortboard MKII works well with and will connect to, a POD processor or your Line 6 amp through a locking RJ-45 cable. The FBV footswitch also has a USB jack that you can upgrade to Spider IV and Spider Valve MKII amplifiers. It works well with both the Spider IV and the Spider Valve MKII amplifiers, and the FBV Shortboard footswitch gives you total, hands-free control of the pitch-shifter, looper, and the other onboard effects. The Line 6 is available for Check on Amazon. The Line 6 FBV Express MKII Guitar Footswitch gives you all the standard features you would expect from a Line 6 foot controller that include a durable wah/volume pedal, a chromatic tuner display, and rock-solid channel switches. The durable steel footswitches can take a beating or stomping, and the robust, full-sized volume/wah pedal feels sturdy under your foot, plus it has lots of grip. It is easy to store and select channel presets, and you can use Tap Tempo to coordinate your time-based effects and to start the chromatic tuner. It is also easy to click the toe switch toggle between the wah control and volume. The FBV Express MKII footswitch can join your POD effect processor or your Line 6 amp through the included locking RJ-45 cable. It is a perfect set when combined with either the Spider IV or the Spider Valve MKII guitar amplifiers. The FBV footswitch also gives you total, hands-free control of the pitch-shifter, looper, and other onboard amplifier effects. It also features hands-free channel switching, a chromatic tuner display, and a self-powered locking RJ-45 cable. The chassis and footswitches are made of reliable steel, and the bright LED display shows tap tempo, active channel, and volume or wah. The FBV Express MKII is available at the affordable $119.99. The IK Multimedia iRig BlueBoard Bluetooth Wireless MIDI Footcontroller allows singers, bass and guitar players, and keyboard players to use their preferred iOS app in the studio or on stage with the same control that is provided by standard music hardware. Musicians can finally play without being tangled constantly in cables, and they can control their apps from the floors. It is compact enough that it will fit in a laptop bag, so it is easy to carry from practice to a gig. You can easily switch between presets, turn on and off effects, change patches, and control the volume and wah pedals from the stage floor. It has a simple set up, and it will connect to your iPod touch, iPhone, iPad, or Mac with Bluetooth from up to 10 meters away. The iRig allows you to use the foot switches to control signals that are changed to MIDI with the iRig BlueBoard app that then sends the messages AmpliTube or other Core MIDI music apps. They can also do parameters changes, and bank up/down using apps like VocaLive, AmpliTube, SampleTank, and iGrand Piano iOS apps. The iRig BlueBoard gives you four soft-touch pads that are backlit and housed in a durable, stage-worthy chassis, with two TRS expansion jacks that can connect more MIDI controllers, such as expression pedals, and it is powered by standard AAA batteries. More LED lights are included with each pad letting you know when it is on, and the backlit feature is great for dark stages or venues so that you can have fast and precise access. The iRig comes with a Bluetooth MIDI pedal board, four backlit assignable foot switches, and 2 1/4″ inputs for flexible expression switches or pedals. The iRig is available for an affordable $99.99. The Fender 2 Button Footswitch is a two button footswitch that can connect to a Mustang amplifier that makes the remote foot control multi-functional. The utility menu is easy to use to choose a function like selecting presets or Quick Access present, bypass effects or TAP interval. The footswitch comes with six button options, and the ability to plug in either a 2 or 4 button footswitch into the amplifier increasing your options on the remote control. When you designate a different function to each footswitch, you are creating over a dozen different control configurations. The Fender 2 Button Footswitch is available for only $19.99. The Hughes & Kettner FSM 432 MK III MIDI Footswitch Controller is more than a MIDI board with select presets. It has a stomp-box mode that lets you change channels directly as well as activate the modulation delay, boost, and effects separately. You also have two 1/4″ jack inputs that join single footswitches or expression pedals, and both of the inputs are able to be assigned to the remote control. The FSM 432 MK III is perfect to use with the GrandMeister, and it is great to use with the superior CoreBlade, Switchblade, and TubeMeister 36 amp offerings from Hughes & Kettner. One of the most visually appealing features of the MK II is the die-cast case and its new ergonomic design. The FSM-432 MK III is slightly angled to work better with the radius of your foot’s motion, and there has been an extension of the distanced between the staggered buttons, so you won’t accidentally have an operator error. The MKII can be used in combination with an expression pedal, and it has a durable, heavy duty construction. The MKIII can be found for Out of stock. 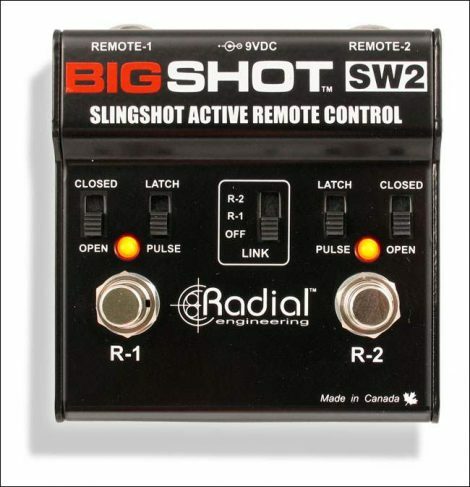 The Radial Engineering BigShot SW2 Slingshot uses a universal remote control footswitch that has two channels, and it can be used instead of two amplifier foot switches that combine those two functions into one pedal. This is a great space saving features, plus it has outputs that support the SW2 that control older amps that have contact closure style channel switching and also newer amps that have electronic pulse sensing. The ‘LINK’ function augments these options remote commands that go to either foot switch. The SW2 Switchbone is a natural evolution that lets you use a compact remote control with two footswitches from a single device. When you add the latch function, you can have several devices work from just one-foot stomp. The BigShot SW2 Slingshot is pretty easy to understand, but you do have to have a little technical knowledge to get the most from the footswitch. Setting the footswitch up is pretty easy, and distances of more than100 feet, or 30 meters, are no problem. It also has a link feature to switch both amps at the same time, and the pulse or latching output will work with any amp, plus the switches are Slingshot outfitted devices. This footswitch is available in the very affordable $99.99.